The European Commission has published a damning study of carbon offsets, finding that 85% of the offset projects under the UN’s Clean Development Mechanism (CDM) to date failed in the objective of reducing emissions. Note 1. Transport & Environment (T&E) said the aviation sector runs the risk of repeating these mistakes in the International Civil Aviation Organisation’s (ICAO) global scheme to offset aircraft emissions. The sustainable transport NGO called for strict rules to be put in place, and for the EU not to rely exclusively on this offsetting deal to address aircraft emissions. The report found that the vast majority of CDM credits – where a polluter pays others to reduce emissions in order to pollute more itself – failed to deliver “real, measurable and additional” emission reductions, as the projects carried out made false assumptions of alternative scenarios or were likely to have happened anyway. The report questions the decision to rely almost exclusively on offsetting to meet aviation’s inadequate climate target after 2020. The EU decided to no longer allow member states after 2021 to use offsets when meeting their 2030 climate targets, marking a major step forward in European climate policy. Yet at the same time Europe is now endorsing an approach at ICAO to address international aviation emissions using potentially the same approach that this report so thoroughly discredits. 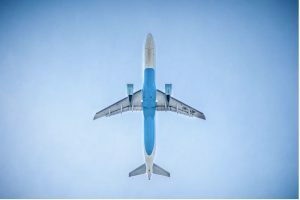 The global market-based measure adopted last October by ICAO relies exclusively on offsetting in its attempt at “carbon neutral growth” for aviation from 2020. To make matters worse, that ICAO agreement so far fails to include important safeguards which would exclude the worst types of offsets. For example, excluding forestry credits, introducing a negative list (a list which automatically excludes the worst quality offsets), or ensuring adequate transparency about the offsets used. The European Commission’s June 2016 decarbonisation of transport paper indicates that the EU will rely almost exclusively on ICAO’s weak global agreement to address Europe’s soaring aviation emissions. This report’s findings show why this is an inherently risky strategy, and with CDM offsets trading for as little as €0.50 a tonne, the European strategy represents special treatment for this most carbon-intensive of sectors. The author, Andrew Murphy, joined T&E in June 2014 having previously worked for the Green European Foundation and interning at the European Commission’s transport directorate. Andrew is Irish, with a bachelor of arts degree in Political Science and Law and a bachelor of law from the National University of Ireland, Galway. He speaks English and French. Andrew will further T&E’s work on sustainable aviation, including state aid and VAT taxation, as part of the aviation and shipping team.